It is already common knowledge that individual investors do not usually have the necessary resources and abilities to properly research an investment opportunity. As a result, most investors pick their illusory “winners” by making a superficial analysis and research that leads to poor performance on aggregate. The Standard and Poor’s 500 Index returned 7.6% over the 12-month period ending November 21, while more than 51% of the constituents of the index underperformed the benchmark. Hence, a random stock picking process will most likely lead to disappointment. At the same time, the 30 most favored mid-cap stocks by the best performing hedge funds monitored by Insider Monkey generated a return of 18% over the same time span. Of course, hedge funds do make wrong bets on some occasions and these get disproportionately publicized on financial media, but piggybacking their moves can beat the broader market on average. That’s why we are going to go over recent hedge fund activity in Sturm Ruger & Company (NYSE:RGR). Is Sturm Ruger & Company (NYSE:RGR) ready to rally soon? Prominent investors are reducing their bets on the stock. The number of long hedge fund bets that are revealed through the 13F filings retreated by 1 in recent months. RGR was in 15 hedge funds’ portfolios at the end of September. 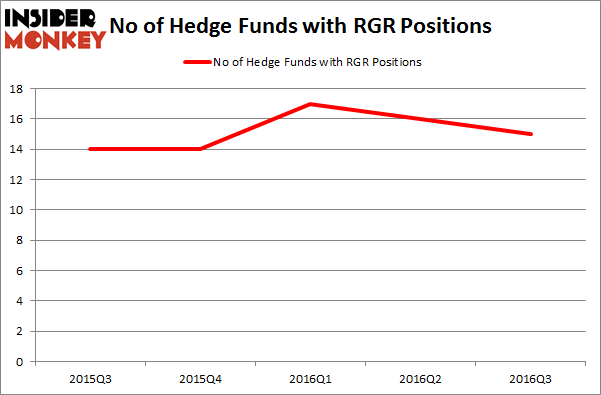 There were 16 hedge funds in our database with RGR positions at the end of the previous quarter. At the end of this article we will also compare RGR to other stocks including Knowles Corp (NYSE:KN), Neenah Paper, Inc. (NYSE:NP), and Abercrombie & Fitch Co. (NYSE:ANF) to get a better sense of its popularity. 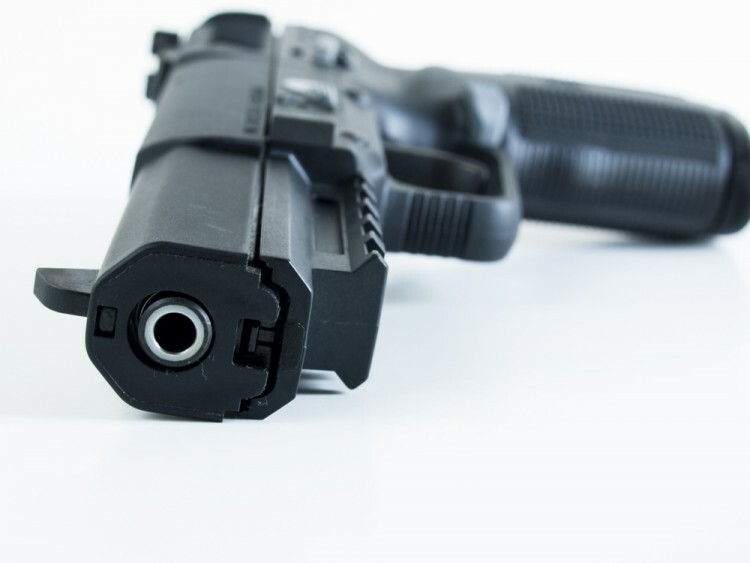 What have hedge funds been doing with Sturm Ruger & Company (NYSE:RGR)? At Q3’s end, a total of 15 of the hedge funds tracked by Insider Monkey were long this stock, a drop of 6% from one quarter earlier. On the other hand, there were a total of 14 hedge funds with a bullish position in RGR at the beginning of this year. So, let’s examine which hedge funds were among the top holders of the stock and which hedge funds were making big moves. When looking at the institutional investors followed by Insider Monkey, Colin Moran’s Abdiel Capital Advisors has the most valuable position in Sturm Ruger & Company (NYSE:RGR), worth close to $26.8 million, accounting for 7.9% of its total 13F portfolio. The second largest stake is held by Jim Simons’ Renaissance Technologies, with a $20.4 million position. Other hedge funds and institutional investors that are bullish include Israel Englander’s Millennium Management, John Overdeck and David Siegel’s Two Sigma Advisors and Joel Greenblatt’s Gotham Asset Management. We should note that none of these hedge funds are among our list of the 100 best performing hedge funds which is based on the performance of their 13F long positions in non-microcap stocks.